What's better than beer and bread? A recipe that uses beer to make bread. Oh, and bacon fat . . . bread made with beer AND bacon fat. That's right, I said it! Here is a great recipe using beer and making use of my brandy spankin' new grain mill - see my post on grinding grain. Heat beer until it just bubbles; add bacon fat, brown sugar, molasses, honey, salt, and caraway seeds. Cool to lukewarm. 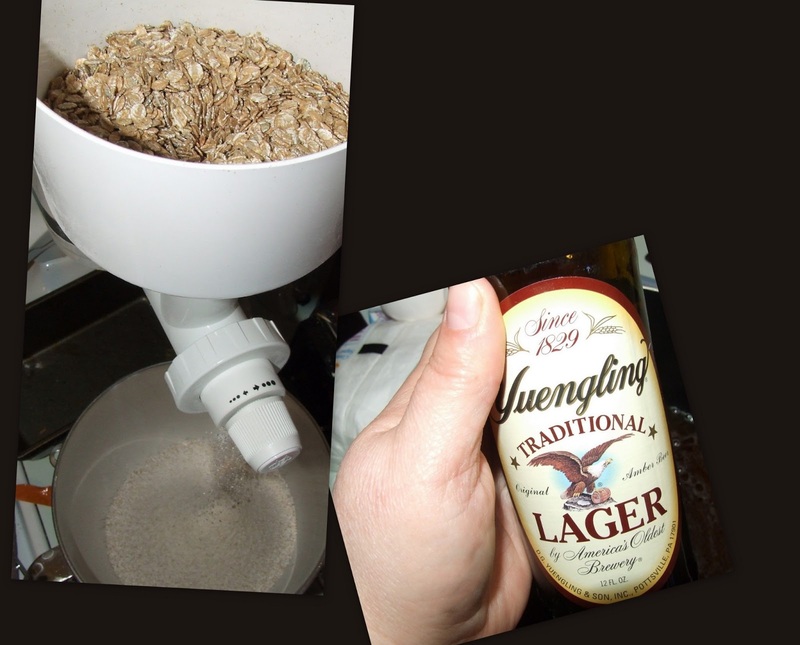 Dissolve yeast in warm water; add to lukewarm beer mixture. Beat in rye flour and enough white flour to make soft dough. Turn out on a heavily floured board; knead until smooth and elastic. Place in a greased bowl, turning to grease top. Cover; let rise in a warm place until double in bulk. Divide in half; shape into 2 round or long ovals on a greased cookie sheet. Slash tops of loaves with a sharp knife. Let rise until double in bulk. Bake at 350 degrees for 40 to 45 minutes or until done.